Good afternoon everyone I hope you are enjoying your Sunday afternoon. Today I have an Anniversary card for my no2 Brother and my sister-in-law. 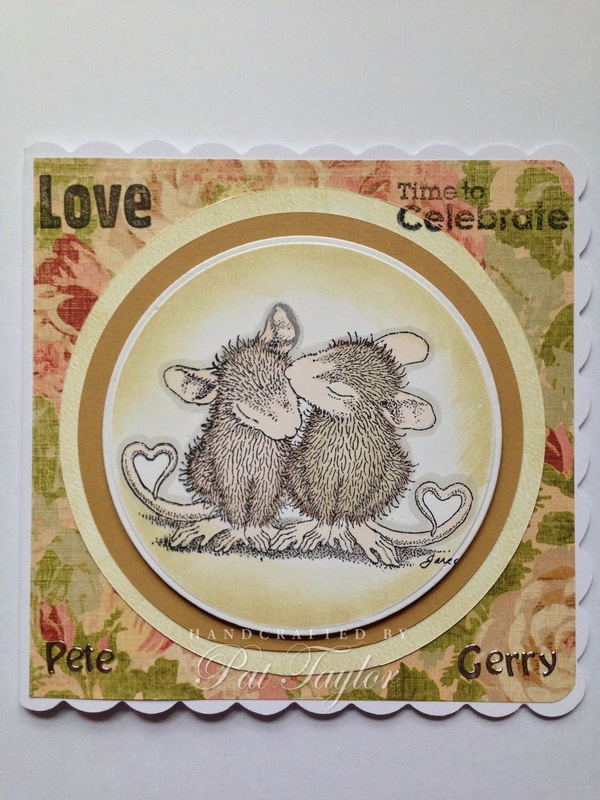 Beautiful card Pat, love the image and I am sure your brother and his wife will love it. Wonderful anniversary card, love the cute image and beautiful backing paper. Such a sweet House Mouse creation Pat.